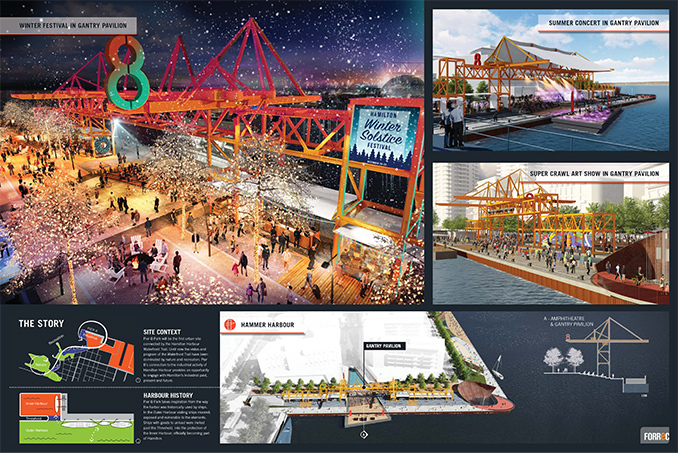 The City of Hamilton recently announced that the Forrec led team design, “Hamilton: Hammer City” has won the Pier 8 Promenade design competition. The City of Hamilton is undertaking a design competition to select a design team and determine a design for the new Pier 8 Promenade Park to be located along the north and east edges of Pier 8. Six design teams were selected through a pre-qualification process in April. 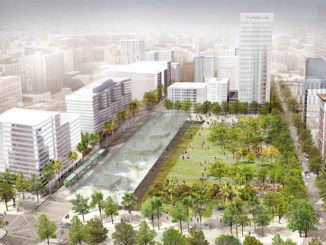 Each team was asked to develop a concept for the park based on a predetermined budget and a park vision, design objectives and program elements developed through public consultation. A volunteer jury of seven sector experts met on September 13 to review all of the concepts, technical evaluations by city staff and public comments to select the winning design. 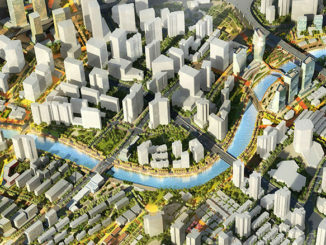 They based their decision on each proposal’s response to context, design excellence and innovation, response to the vision and goals for the park, and community opinions. 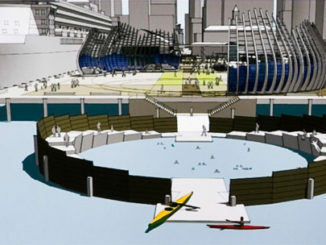 agreement with the Forrec team to develop detailed design documents to implement their design. Mario Patitucci, OALA, CSLA, Principal, Adesso Design Inc. The Forrec led team will work with the City to further develop their design and prepare construction drawings to begin implementing their design in 2018. Hamilton is a proud waterside city forged in the fire of industry. For over two centuries, ships have docked in Hamilton Harbour to exchange raw materials for goods processed by Hamilton’s factories. Today industry still employs over 30,000 people. Hamilton has developed a character that is best described by the native Hamiltonian term “The Hammer,” expressive of the authenticity, edginess and raw potential that is shared by the city and its people. These characteristics have more recently contributed to the surge in a young, educated, and artistic demographic. 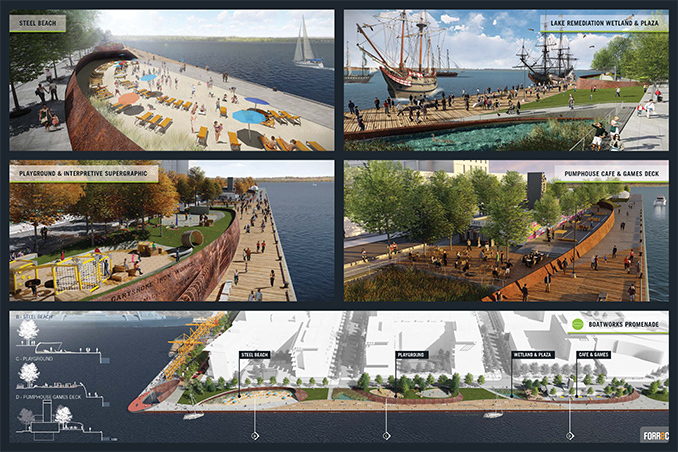 By creating an urban destination at Pier 8, we provide a catalyst to strengthen the connection along James Street between the downtown core the waterfront, allowing the benefits of new development to extend beyond site boundaries. 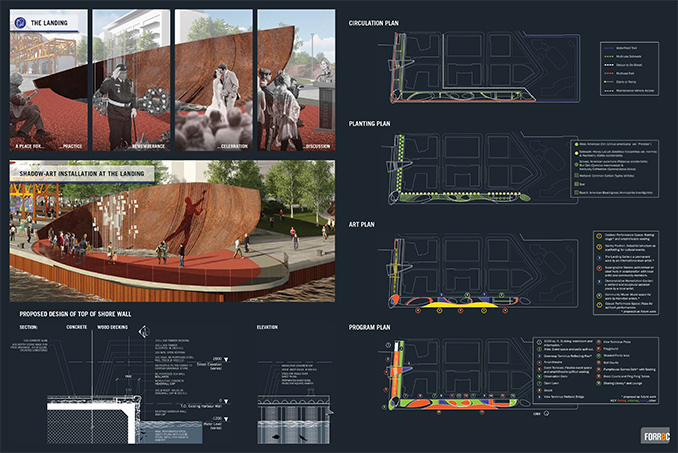 Competition Team | Forrec Ltd. with CIMA+; exp Services Inc.; Creative Irrigation Solutions Inc. (CIS); Andrew Davies Public Art Consulting; and Altus.